The barn is unique, converted and maintained to very high standards under our personal supervision. 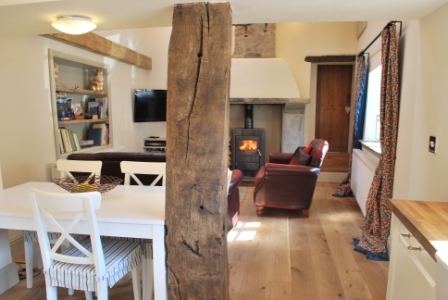 For a short relaxing break or a longer family holiday, Bakewell Barn is a perfect place to stay. Close enough to the town centre attractions but quiet enough to relax and enjoy your holiday in any season. To read more see the Barn’s website. Please make all enquiries about Bakewell Barn by either emailing us at info@mannersbakewell.co.uk or just give us a call on 01629 812756. 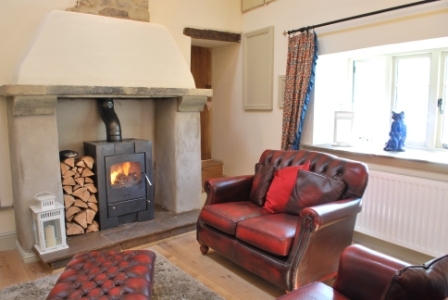 Bakewell Barn is the perfect place to relax and enjoy the delights of the Peak District. 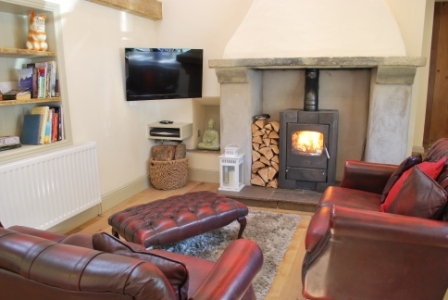 The accommodation comprises of a lounge with oak floor, beamed ceiling and delightful gritstone fireplace with a log burning stove, ideal for cosy nights by the fire. The lounge leads onto a fully equipped tiled kitchen-dining area and a window looking out to the Church’s Spire. Bedroom one has a double bed and en-suite shower room including shower cubicle, toilet and handbasin. The second bedroom has two single beds. There is a separate shower room with shower cubicle, toilet and handbasin. 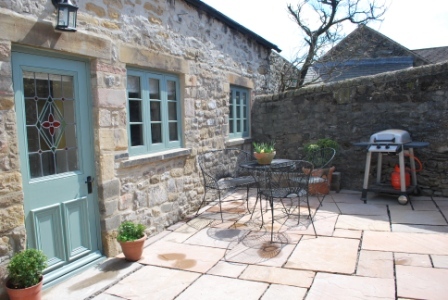 This holiday barn conversion is in a great location in the heart of Bakewell and enjoys a quiet courtyard setting. Bakewell is a historic market town with high quality shops, cafés, pubs and restaurants, all within 100 yards. Surrounded by spectacular countryside, with Chatsworth House and its 100 acres of landscaped gardens, and Haddon Hall, both nearby. Other places of interest include Monsal and Lathkill Dales, both a short distance away. Get active visiting the cycle hire on the Monsal trail, walking, golf, swimming, a gym and tennis courts all available locally. Shop pubs 100 yards and our restaurant at The Manners is just a short walk away. 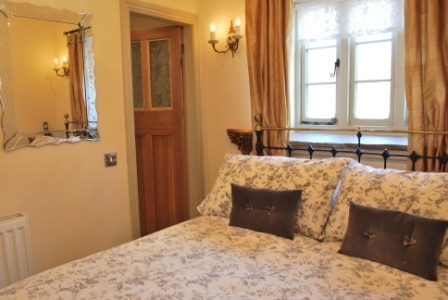 To read more about this holiday accommodation in Bakewell, please go The Bakewell Barn website.